These two teams clashed in the final of last season’s Euroleague but we are at the stage of the campaign where the loser may find that their season goes no further. The hosts really need to grab a win to push themselves into real contention for the two playoff spots that are most up for grabs. This could be the biggest game of the week in the Top 16. When Olympiacos went down to Madrid earlier on in the Top 16, Georgios Printezis had a very quiet evening. The player only managed 5 points and 3 rebounds. Since that night, he has averaged 19 points and 7.2 rebounds, and this is the sort of performance that the Greeks need to see this week. 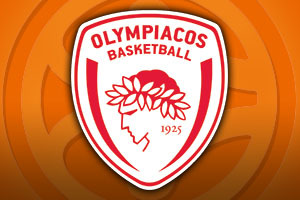 To be fair to Olympiacos, they have been good at home, as their 8-2 record indicates. They still rely heavily on Vassilis Spanoulis but when you consider how decent a player he is, that is no bad thing. This is a must win game for the Greeks and you know the atmosphere will be electric. While some people will point to Madrid winning the Euroleague final last year as being the big game between these two sides, for this week’s game, the victory for Real Madrid in January is crucial. That 84-72 win provided Madrid with a 12 point win, and that gives them something to hold on to with respect to the head to head. Madrid will be going all out for the victory tonight but if that looks beyond them, they will be working hard to at least try and take the advantage out of the two match-ups. Gustavo Ayon has been the key player for Madrid of late, notching an average of 13.7 points per game and a performance index rating of 20.6 in the Top 16. The hosts are the bookmakers favourite, but there is not a lot in it. 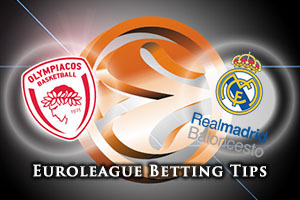 Take Olympiacos Piraeus at -2.5, for odds of 1.90. In the Over/Under market, look to go OVER 156.5 at odds of 1.90. Bet Now!